Kenya Nominates Amb. Amina Mohammed for AU Chairperson - The Embassy of The Republic of Kenya, Addis Ababa, Ethiopia. “In 2013, I appointed Ambassador Amina C. Mohamed, my Cabinet Secretary of the Ministry of Foreign Affairs and International Trade. Since then, Ambassador Mohamed has steered our diplomatic engagement to greater heights. We have benefited tremendously from regional and international engagements of national and continental significance. In recognition of our obligation and commitment to support the African agenda, I am proud to offer Dr. Amina Mohamed for the position of Chairperson of the African Union Commission (AUC), a position currently held by Her Excellency Dr. Nkosazana Dlamini Zuma of South Africa. In this regard, my administration submitted the candidature of Ambassador Amina Mohamed for consideration at the African Union Summit in January 2017. Dr. Amina Mohamed brings extraordinary experience and distinguished service at the national and international levels. 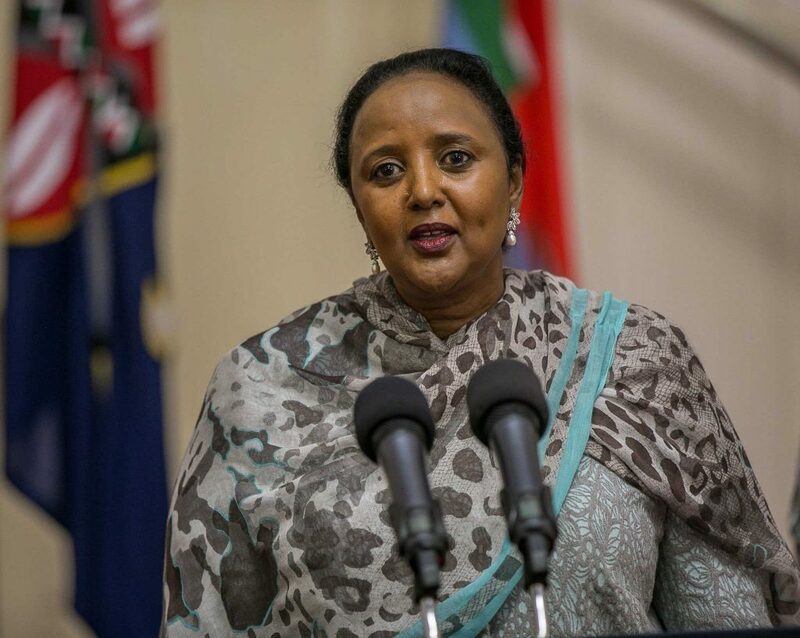 Among the most significant recent achievements include being the first woman to lead the Ministry of Foreign Affairs and International Trade of the Republic of Kenya. She was elected President of UNCTAD 14 for the next 4 years, was the Chairperson of the historic WTO 10th Ministerial Conference which is the top decision-making body of the WTO, and Co-Chairperson of the Ministerial segment of the first ever TICAD Summit held on our continent.